I love gadgets. You know how they always say it’s good to talk to your plants? Well, now your plants can talk back…sort of. 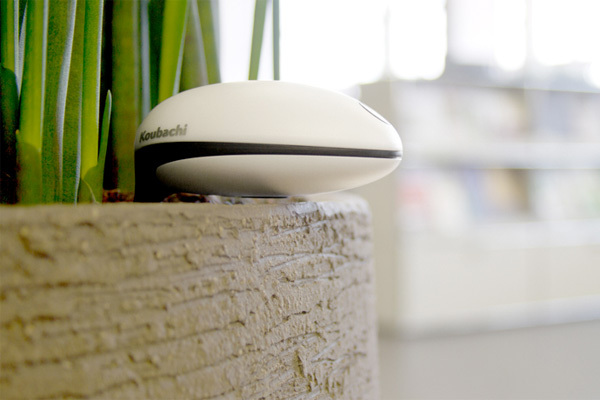 The Koubachi Wi-Fi Plant Sensor is a wand that you stick in the soil of your houseplant. The sensor evaluates things like temperature, moisture level and other variables. If your plant needs water, the sensor will send a wireless message to your computer or phone. It’s an interesting use of technology. One nice thing is that you don’t need a sensor in every pot. One sensor will monitor conditions within a room. This article provides some interesting details about the Koubachi Plant Sensor. The pricing mentions shipping from overseas. However, a number of different Koubachi plant sensors are available on Amazon and are more reasonably priced. There are also a number of competitors with similar products. Be sure to check out the product reviews. Click Here to see the Plant Sensor Products on Amazon. To read the complete article, click on the Koubachi Wifi Plant Sensor link below.